Daigle Fisse & Kessenich Law Firm Expert in complex litigation, commercial, casualty, civil, and admiralty. Mr. Fisse is a Senior Partner and manages the firm’s Civil Group. He specializes in commercial litigation and dispute resolution of construction and complex product liability claims. In those fields he represents government bodies, facility owners and contractors, product suppliers and insurer interests throughout the United States. He has special expertise in claims and contract disputes involving the construction of roads and bridges, as well as the construction and operation of industrial power production facilities, turbine/generator equipment and related product components. He represents a wide range of government, business, and insurer interests in maritime claims, casualty and other commercial disputes. Mr. Fisse received his B.S. degree from the University of New Orleans and his J.D. degree from Louisiana State University, where he served on the Louisiana Law Review. He is admitted to the Louisiana (1987) and Texas (1987) Bars and before numerous State and Federal District and Appellate Courts in Louisiana, Texas and the other states of the Gulf Coast Region. 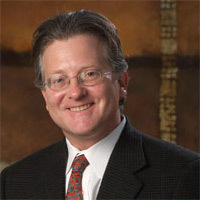 He has tried lawsuits, arbitrations and defended claim disputes throughout the United States and its Territories, as well as overseas. He is a member of the Louisiana, Texas, New Orleans, and Houston Bar Associations.